You might wonder how to get a free virtual credit card, And might eager to know who offers virtual credit card numbers and you will have many doubts, By the end of the article, You will come to a solution and an enlightenment of creating virtual credit card. Virtual Credit Cards have a greater role in having transactions, Especially for Indians who struggle to make a purchase with hosting in a Foreign company. With this service, You can pay for whatever service you want. Entropay is a virtual credit card service provider, It not only provide USA virtual credit cards, It provides a Virtual credit card for people, All over the world. You can get a virtual credit card number instantly by using this service. This is a prepaid service, You can Top up whenever you need Like mobile phone recharges :). The credit cards can be used anywhere for paying online transactions and many other things, The company is very good and it is trusted by many people, Even, I am using it for more than 2 years, Hope you like too. Read the steps below carefully, If you having difficulties in understanding the steps, Don’t worry, I have made a video for you, Which I will publish below. 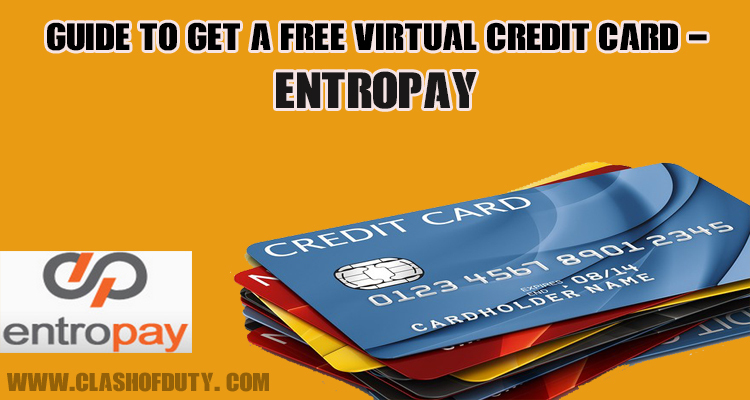 Go to this link which is the official website of Entropay virtual credit card service. It will go to the site registration area, You can enter the details and sign up. You will receive a confirmation mail, Just confirm it. Using Entropay, You can get a virtual credit card instantly, But don’t think it’s foolish security system, It has tight security features, So I would advise you to use only single IP address, Don’t change the IP. Don’t use proxies. Use one IP for the service. If not you will get locked and to unlock it will take 24 hrs of time. So, If you have finished the above steps, You will see a default card, But there will be empty like below in the image. Inorder to reveal the virtual credit card information. You need to top up your card first. You can top up either using, Debit card or Credit card or even bank transfer. Each having its own charges, Choose wisely. The minimum amount for top-up is 5 $. After top up, Virtual credit card details will be revealed and you can use it for your purposes. Use only one country IP, If you use a proxy, Your account will get locked. In some cases, During payment If funds are reversed, Then it will come back automatically to your Virtual card. You can have upto 5 Virtual credit cards in the basic plan. You can also transfer your funds from credit card to your bank account. You can top up whenever you want and whenever you like to use. You can transfer funds within credit cards. 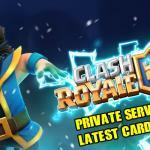 Love to Play Clash Of Clans, Why not try the Clash Of Clans Private Servers?? If you have trouble in reading the above content, Have a look at the video below. 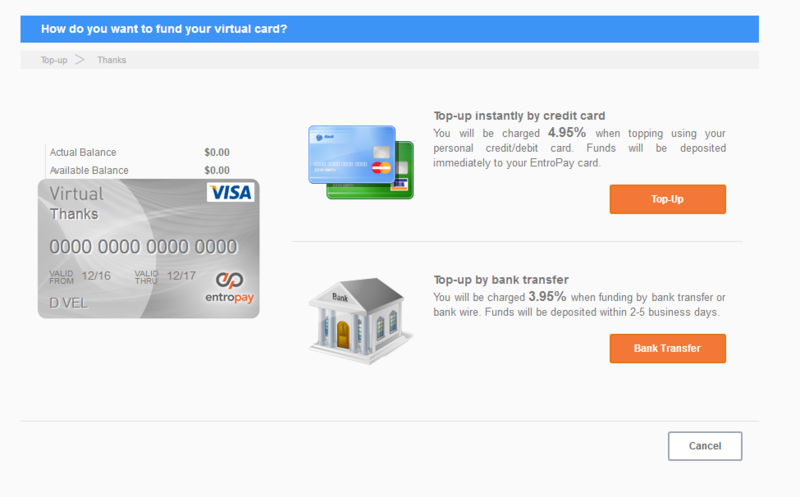 If still you have doubts about Virtual credit card entropay service or any other doubts about it, You can contact me without any hesitation, Feel free to use the comment section below, If you feel that this article helped you, Please help us to reach some other fellows, Who will also feel this piece of content useful, Subscribe to receive more contents like this. Thanks for reading.